I’m passionate about opportunities in the nuclear industry for everyone, both women and men, from any background. Research shows that there are reasons why individuals don’t always consider that a nuclear career is an option for them. Also, people often don’t take the steps that could help them progress a career once they have begun working in the nuclear industry. I joined Women in Nuclear because this group, which is a branch of the Nuclear Institute, aims to address the industry’s gender balance and improve opportunities for all. We need both individuals and companies to overcome the barriers to developing a successful career in nuclear. Ultimately this will benefit the industry which is forecasting huge growth. I’ll be encouraging as many people as possible to learn more about what WiN can offer at the #DecommSupply event on 3 November (find me on Stand L1). If you are attending then please consider signing up for the speed mentoring event on 3 November 2016. For those of you can’t be there, here is a little summary of what I’ll be saying to people along with some useful links. 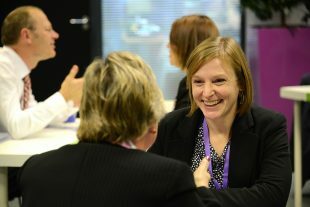 Women in Nuclear website provides some top tips for preparing for interviews and also options for mentoring. We encourage leaders of companies in the nuclear industry to support the promotion of gender equality in their workplace by signing up to the Women in Nuclear Industry Charter and also signing a pledge to publicise this for their current workforce and new recruits. Employers in the nuclear industry might also want to consider corporate sponsorship of MentorSET, which is a scheme to provide support to attract, retain and progress women in companies.